Let's get into the technology. This is a cavity back club. It's pretty simple-looking and clean, but don't let that fool you -- it's a modern, super game-improving design. The sole is wide with a low profile. I like these a lot better than Cobras S9s because they've reduced the contact area with the ground. Another nice bonus is the Aldila's NVS-HL graphite shaft, which has a low kick point to help you get the ball flying high very quickly. I recommend these irons for the high to mid handicappers that are looking for an iron that is easy to swing with a bodacious sweet spot. 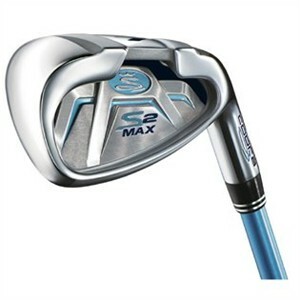 Another iron you should look at before you buy is the Callaway Diablo Edge Irons. I like these because of their cool modern looks with the cavity back somewhat camouflaged.